As well as the annual fishing festival, Filey Brigg Sea Angling Society holds a winter league series, running from the first Monday in October through until the last Monday (week following) in February. The series is split into 3 Leagues,leagues A and B are fished on an any fish basis, there is also a cod only league.Anyone new joining the club will start in league B. Each year the top 5 people in league B will be promoted in to league A, and the bottom 5 people from league A will go down into league B.Every one who weighs cod in is automatically entered into the cod league including juveniles.The winners of each league is the person with the heaviest aggregate.Anglers can fish the 3 matchs per week if they wish, but only their heaviest weight will count towards their aggregate.Cash prizes will be awarded to the winners and runners up of each leagues.There is also cash prizes each week for heaviest aggregates and fish. (a) No competitor is to fish the winter fishing competitions until they have paid their annual membership, and completed and signed a membership liability record. (b) The winter fishing matches are held from October to February (approx 22 weeks) at the time stated – Monday and Wednesday commence 6.30pm with weigh-in by 10.30pm prompt. Saturday commence 2pm with weigh-in by 6pm prompt. There are usually 7 matches over the summer, chosen by the Committee, on Wednesday and Friday evenings, and 2 matches on a Sunday. For more information please see our website for forthcoming events. Summer matches are the same format as for Winter Fishing regarding booking in, Wednesday and Friday matches are 6.30pm start to weigh in by 10.30pm at the Foord’s Hotel, Queen Street, Filey. Adults £2.50, Juveniles £1.00 includes sweep for the heaviest single fish and monthly roll ups. There must be at least 5 entries in any one week for there to be a competition. Book in with Frank and Lilian Colling, 41 Grange Avenue, Filey. Telephone 01723 515430 after 5.30pm for Monday/Wednesday matches, and after 1pm for Saturday matches. (a) Any angler owing entry money for 3 weeks will not be allowed to fish any further matches until their arrears are paid in full. There are no boundaries for Winter and Summer competitions, however for safety reasons, the cliff descent known as Bird Ash is out of bounds (please see the FBAS code of Conduct). (a) “The Titch Trophy”. Any member catching a big fish at anytime, anywhere – the fish must be weighed in at FBAS Club House by the Official Weigh-in or Committee Member to qualify for this prize, from January 1st to December 31st each year. (b) Speciman fish of the year. To be weighed in on any tested scales at any recognized club to qualify for a specimen fish certificate award. All competitors must have tickets before commencing fishing and must produce them at the weigh in. Each shore competition may have a different entrance fee. The match entrance fee is to be printed in the brochure. Roll up and optional superpool for each competition (optional Superpool is open to all classes. (a) Each day’s event shall commence at the time stated in the programme and, Immediately prior to the starting to fish, the baskets of all competitors may be examined by a member of the Committee. (b) No fishng to be done on the same day as any match except anglers entering boating competitions. (c) The decision of the Official Weigher In regarding time is final. (a) No competitor may have fitted up at the same time, more than one rod with reel and running line, and not with more than two hooks attached (i.e treble counts as one hook). Any competitor may, however, in lieu of using a rod, reel and line use a hand line with not more than two hooks. (b) Float, bottom and artificial fishing allowed. (c) Any person may cast for a competitor who wishes for their assistance, but no one except the competitor may handle the rod after the cast has been made. (d) Competitors may receive the help of any person to gaff, or assist him or her in landing a fish, but they must not handle the rod in doing so. (e) Juvenile age limit up to 16th birthday. Juveniles who are under 16 or who have their 16th birthday after the first day of the Festival will be classed as Juveniles and fish the Juvenile Class for the duration of the Fishing Festival. (f) There will be a separate class for Juveniles. The entry fee for this class will be £1 both shore and boat competitions. North of England match £2. Points to be awarded: 1st – 3 points, 2nd 2 points, 3rd – 1 point. Juveniles may only enter Juvenile Class and Superpools. (g) Ladies Prize – should a lady be placed in Class 1 she may choose to take either the Class 1 prize or the Ladies prize, but not both. Where there is a Ladies trophy, the highest placed Lady will receive this, whichever prize they choose to take. (h) Visitors Prize – can only be won by a competitor who permanently resides outside 25 mile radius of Filey. (i) Sweep Prize – single fish, any type. Superpool payout will be 2/3rd heaviest single fish and 1/3rd heaviest bag. (j) The winner of any Trophy shall be allowed to hold the same until 31st August the following year and shall give guarantee that or other security , satisfactory to the Committee for the safe custody thereof in the meantime, and for the safe return thereof on or before that day. (k) All winners of trophies to have them engraved at their own expense. 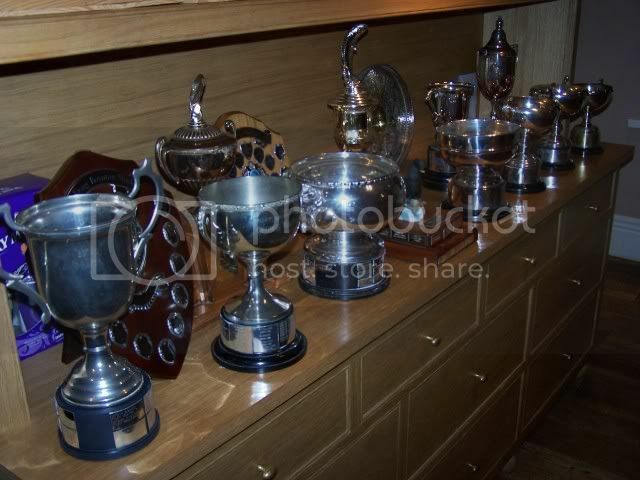 (l) The Committee reserve the right to add to or amend the prizes as listed for all events. (m) Prize winners must be present at each prize presentation in order to receive their prize. If they are not present they will forfeit their prize and this will be awarded to the next winning competitor. (a) In the interest of conservation the FBAS minimum fish sizes shall be:CONGER 91cm, SKATE, RAY 46cm, COMMON EEL, GARFISH 38cm, COD 36cm, COALFISH (BILLET), POLLACK, HAKE, BRILL, TURBOT, WITCHES, WRASSE 35cm, BASS 42cm, WHITING 32cm, (from 2017/18 there is a bag limit of 20 whitings per angler per match) MACKEREL, HADDOCK 30cm, LEMON SOLE, PLAICE 27cm, LING, 63cm, COMMON SOLE, DAB, POUTING 25cm. BEARDED ROCKING is BANNED for all FBAS boat and shore matches. Measurements from the tip of the jaw to the tip of the tail, all fish other than above 25cm. Any competitor who presents a fish to the scales that has been man-handled (stretched) to be disqualified from that competition. (b) Each competitor must weigh-in their own catch not later than the time mentioned in the programme together with their ticket for that day. Weigh-in venues as stated in the programme. All fish to be free from mud, grass, sand and hooks etc. No ticket – no weigh-in of fish. (c) All fish to be weighed in by the Official Weigher-In or his deputy. (d) Any fish can be weighed in towards Special Prizes, as long as size, even in Codling only or Single Fish matches. (b) For safety reasons the cliff descent/ascent known as Bird Ash is out of bounds. (c) During Festival shore matches access to fishing grounds by boat, kayak, rubber dingy or any other waterborne craft will not be allowed and will lead to disqualification. (d) Any angler competing in any match are requested to TAKE YOUR LITTER HOME. Competitors ignoring this rule will be disqualified. (a) In all matters relating to the Festival, the decision of the Committee is final, and the Committee may delegate their power to Judges or Stewards appointed by them. The Committee reserve the right to reject any entry and in any such case the entry fees paid by anyone so rejected shall be returned. (b) Neither the Committee nor the Filey Brigg Angling Society shall be held responsible for damage loss or injury by any person in connection with the Festival. May venues within the festival boundaries are considered to be high risk venues due to access and the nature of their surroundings. Only anglers who are experienced and familiar with these venues should attempt to fish them and even them the utmost discretion should be used taking into consideration the prevailing conditions. (c) The Angling Festival and the Committee accept no responsibility for those wishing to access or fish such venues and strongly recommends that all anglers have club or personal liability and injury insurance. All individual boat owners/skippers are to provide a copy of their valid boat marine insurance prior to entry of competition. A meeting with the Safety Officer and Committee will be held on the Coble Landing each boat match day at 8.45am, when a decision based on weather conditions and safety issues to be made, and also what the start time will be for the match. In the event of poor or worsening weather conditions then the match will be cancelled at this time. Registration for Boating – Tickets may be obtained from the Secretary at the weigh-in area from 1 hour before until 15 minutes before start time on a day to day basis only. No entry tickets may be obtained in advance. Time of fishing is from given signal (see rule 2). No refunds will be made unless due to bad weather and boats are unable to put to sea, refunds will be made at the committees discretion. All boats allowed 30 minutes after fishing time to arrive on the beach. Boats arriving after this time will be disqualified. In the event of a boat breaking down, time will be allowed for them and the one who takes them in tow. All boats may be examined by a member of the committee before they leave the shore. Hire of boats: by private agreement between competitor and boatman. Professional boatmen are not allowed to fish when carrying fare paying passengers. A breach of this rule will disqualify the boat and the entire crew. Competitors may receive the help of any person to gaff, or assist him or her in landing a fish, but they must not handle the rod in doing so. Size of fish – see rule 13(a) general rules. All fish to be gutted at sea except Speciman Fish which shall be weighed separately before gutting. Any fish brought ashore which does not come up to standard measurement cannot be weighed in and it is an offence to bring them ashore (see general rules). All fish eligible (see general rules). Float, Bottom and Artificial fishing allowed. During boating day the use of echo meters and other fish finding equipment is prohibited. Juvenile age limit 8 years up to 16th birthday, Juveniles who are under 16 or have their 16th birthday after the first day of the festival will be classed as juvenilesand fish the juvenile class for the duration of the Fishing Festival. Competitors must weigh in their own catch. Special prizes based on boat matches Monday to Friday inclusive will be presented on the last Sunday of the Festival.